In Hellyeah's universe, every night is Friday night. That's the band's mantra. 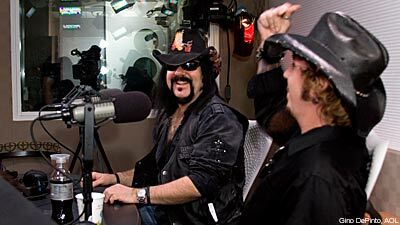 As the entire band -- Vinnie Paul, Chad Gray, Tom Maxwell, Greg Tribbett and Bob Zilla -- descended upon the ''Creep Show' studios to promote their upcoming album, 'Stampede,' due out July 13, the fivesome were adamant about Hellyeah's mission. As Gray pointed out, everyone's got worries about the mortgage and the bills in these trying economic times, but the Hell Yeah show is designed for the working class, blue-collar, beer-swilling, average American male to release his frustrations to. 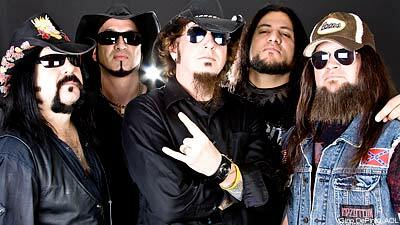 They also pointed out that the girls like Hellyeah and come to their shows, so even more of a reason for dudes to get out and see the band. They also talked strip clubs, as Vince just opened a string of 'em in Texas and Las Vegas. His strip clubs focus on Latina women, since it's an untapped market. 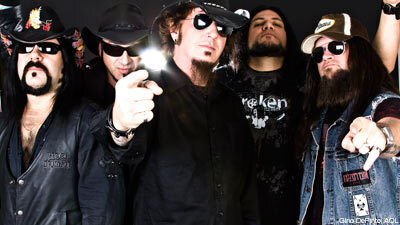 There's even a new Hellyeah song dubbed 'Pole Rider.' Go figure! 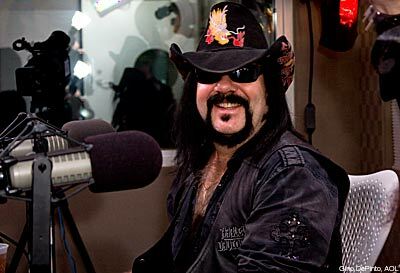 The boys talked about recording at Vinnie's house and refusing to succumb to a raging case of 'demoitis,' which is most bands' tendency to be married to their demos. 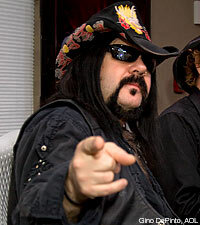 They talked about juggling multiple projects outside of Hellyeah, their excitement about finally being able to tour overseas and how this project was what coaxed Vinnie Paul to play on stage again after losing his brother, the late, great, much-missed Dimebag Darrell. He even said he knows Dime is smiling down on Hellyeah. It nearly brought a tear to my eye.